Nicholas Webb is one of the world’s top Innovation Strategist and Futurist. As the CEO at Lassen Scientific, Inc. Nicholas works with Fortune 500 companies throughout the world to help them lead their industries in Innovation, Strategy and Customer Experience (CX) Design. Unlike many speakers, Nicholas is no theorist. As a technologist, Nicholas has been awarded over 45 patents by the US Patent and Trademark Office for breakthrough technologies that include one of the world’s smallest medical implants to a wide range of industrial and consumer products. Nicholas is a Number One Bestselling Author. His most recent book, What Customers Crave is used by top brands to design their Customer Experience (CX) and Innovation Strategies. Nicholas has been awarded his Doctorate of Humane Letters from the Western University of Health Sciences, a top Southern California Medical School in recognition of his contributions to healthcare. Nicholas is also the founder of the Destruction Lab, a research and development project that is reinventing the way in which consumers access and engage healthcare and other consumer products and services. Unlike many speakers that deliver canned speeches, Nicholas leverages his real world expertise as a CEO and Award-Winning Innovator. Additionally, Nicholas only delivers customized talks that are thoughtfully crafted to meet the strategies of your event. His three-step Pre-Event process of Scoping, Research and Customization provides you the best return on investment and actionable and real world takeaways. His thought provoking and entertaining talks include the topics of Future Trends, Technology, Innovation, and Healthcare. Meeting planners and audiences alike are demanding keynote speakers that can deliver a powerful and engaging talk. Moreover, they are demanding speakers with real-world expertise and a proven background of success. Nicholas is represented by all of the top speaker bureaus in the world and he enjoys one of the best reputations for delivering powerful and relevant talks that delight his audience. Nicholas is routinely booked multiple times by the same client and enjoys one of the highest excellent ratings in the industry. All of his talks are from the ground up and are specically designed to deliver a protable return on investment to his clients. While some speakers talk about the future… Nicholas is inventing it. He has been awarded 45 Patents for breakthrough technologies that include one of the world’s smallest medical implants. Nicholas has served as a CEO for several technologyrelated companies. Nicholas is a number one best-selling author. 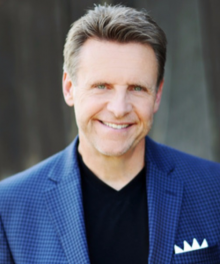 He has provided consulting and keynotes to some of the top brands including Salesforce, CIGNA, Cisco, Johnson & Johnson, Gatorade, Verizon Wireless and Microsoft, just to name a few. Nicholas serves as the CEO of Lassen Scientific, Inc. a top Innovation Management Consulting Firm. Nicholas will WOW your audience with an incredible journey through the future. Most importantly, your organization will get actionable insights on how to build a “Future Ready” Enterprise.